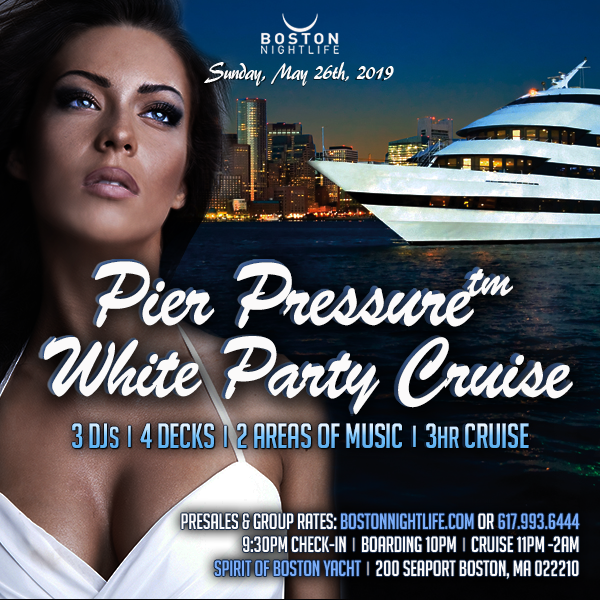 Join us on the Pier Pressure White Party Cruise — Memorial Sunday Night | May 26th 2019 — and prepare for the ultimate yacht party cruise! STRICT DRESS CODE will be enforced. Cocktail Attire is recommended. Everyone MUST wear white. Nice non-holey Jeans OK w/ white top. No plain white T-shirts. No Ball Caps. Fedora’s OK. Men should wear a button down shirt, sports coats are recommended.